OUR REPAIRS KEEP YOU RUNNING. I have virtually stopped sending all motors overseas for any type of repair whatsoever. They are being repaired at a fraction of the cost, in half the time it normally would take, and without all the additional international expenses. 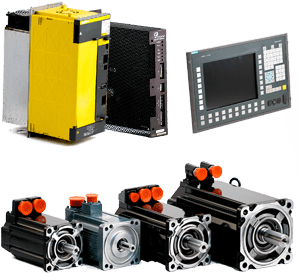 We started with our servo motors and have since added sending our electrical display boards to their electronics department with the same success. I am very impressed with the organization as a whole. We were in desperate need of having one of our main motor controllers repaired as soon as possible. Due to the complexity of the system it was hard to find somebody that could help us with this. Luckily for us, we found Perfection Servo. They took care of our controller in record time and the result was outstanding. We will use their services again without having to look for some other company. Thank you very much Dave and all the crew there. Perfection servo is my first choice for electronic repairs. I even had a control panel picked up and brought back the same day on an emergency repair because our production line was down. Perfection Servo has been an asset to [our flow controls solutions provider]. Recently a power supply went bad on a machine no longer supported by the OEM. I was unable to find a used or new one to purchase. We sent Perfection the supply and it was delivered in four working days. Also, I have a very particular power supply on thirty-year-old German made machine that many of my other repair vendors were unable to fix. Perfection performed the service with no question. 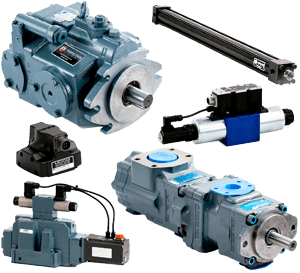 I would strongly encourage anyone with hydraulic pumps, cylinders, or valves to contact Perfection Servo. Perfection has been a reliable vendor for many years, have gone out of their way several times to meet our needs, and I look forward to many more years of doing business with them. I have had the opportunity to partner up with Perfection Servo for my Drive and Motor repair needs for the past nine years. Perfection Servo provides professional, quality repairs with reasonable costs and quick turnarounds. Perfection Servo has become my #1 source for electronic repairs. Perfection Servo lives up to its name. Excellent service and great communication! All repair quotes come back quickly and very reasonable. I’ve never have to ship repair parts out and all are picked up in a timely manner. Every part that has been picked up for repair has come back ready to use without a problem. I would strongly recommend Perfection Servo they make my job so much easier. I would recommend Perfection Servo to any one that needs this type of service. Whenever I have a problem with my equipment, it gets taken care of promptly with Perfection Servo. 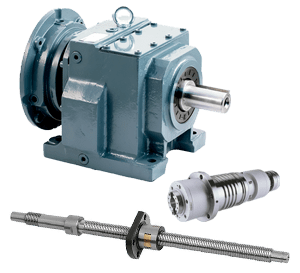 I would like to thank everyone involved with getting our spindle motor done in a timely, professional manner. The motor now sounds and operates as it should. Your team saved our team weeks of unacceptable down time and is highly appreciated by myself and my peers. Should another problem arise your company will be the first contacted. I will refer Perfection Servo to anyone needing this type of work done. Thanks again for such a quick expedited repair! It was the fastest motor repair I have ever received! Amazing service and speed with optional RUSH service available! Perfection Servo is our first choice at [our injection molding plant]. Time and time again great service, reliable advice, expert repairs that last. Give them a call if you don't get them directly...you will be surprised how fast they call back. I cannot say enough about the way this was handled and I have nothing but praise for your staff and their effort to fix this supply. Everyone from your customer service, to the drivers that picked it up numerous times to sales who kept me in the loop at every turn. Your company’s dedication and customer service make it head and shoulders above the completion! I will make sure that I forward your company’s name to anyone I know. Thank everyone in your company for their help. We have been working with Perfection Servo for a couple of years now and I cannot say enough about them. The quality of work that they do has enabled us to fix some of our systems and move on to focus on other repeat issues. Out downtime and overall costs have decreased. Perfection Servo can always be counted on in an emergency to get your pump or servo picked up, repaired, and returned in the shortest time. We have been doing business with them for many years and they always do a good job. Perfection Servo has great customer service. They are willing to pick up repair items weekly if needed for repair. Also they will get your quote to you in a good timely manner. I would recommend their service to companies looking for friendly & professional service.